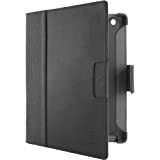 Found 40783 Ipad Cases Ipad Products. 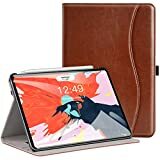 Compatibility:Well built to protect your ipad pro 11 inch 2018 for the years to come. Product Description:Ultra-thin Premium quality nylon woven fabric and PU leather, elegant and beautiful, easy to carry. With magnetic closure and Multi-Angle Viewing Stand. Automatically wakes or puts to sleep when the lid is opened and closed. Easy access to all features and controls. Convenient stand position for watching movie or typing. Warranty180 Days Satisfaction GuaranteeAll Ztotop products are guaranteed to give you 100% satisfaction in every way for 180 days from the date of purchase. If for any reason you are not completely satisfied, you will receive a replacement or refund. 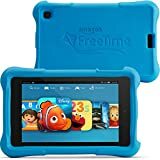 PLEASE NOTE:Exclusively designed for New iPad Mini 7.9 Inch 2019 Release (5th Gen),NOT for iPad Mini 1/2/3/4 (old model) and other iPad models.Product Description: 1.Made of PU leather exterior, color-matched microfiber lining, provide full body protection. 2.Built- in Apple Pencil Holder. Easy to put in and out. Using your Apple Pencil whenever you want. 3.Honeycomb grid pattern air cushion can release over 80% heat, extend its useful life. 4.Automatically wakes or puts to sleep when the lid is opened and closed. Easy access to all features and controls. 5.With magnetic closure and stable Trifold Stand. 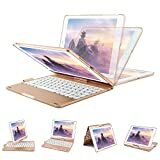 Convenient for watching movie or typing. 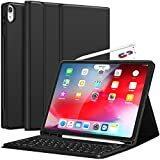 Fintie Introduces this stunningly attractive and unique case for iPad Air 10.5" (3rd Gen) 2019 release & Apple iPad Pro 10.5 2017 release tablet. 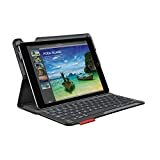 This case comes with a detachable bluetooth keyboard that seamlessly connects with the iPad for a quicker and more comfortable typing. A spring mechanism underneath each key ensures a tactile response with every stroke, helping you to type faster and with less error than on a touchscreen. Super-slim design adds maximum protection with minimal bulk (0.38 in). Find the angle in landscape mode just right for you with the adjustable stand that customizes to your personal viewing preference. All features of the iPad are accessible even with the case on. This versatile and protective case from Fintie features a removable keyboard that lets you switch between work and play with ease anywhere you use your iPad. Package Contents: 1 x Fintie Slim Case(Tablet is NOT included!) 1 x Bluetooth Keyboard 1 x Micro USB Charing cable 1 x User Manual Available in a variety of bright and fun colors. PLEASE NOTE: Only designed for iPad Pro 11 Inch 2018 Release (Model:A1980/A2013/A1934/A1979), NOT for other iPad models. Product Description: 1.Made of PU leather exterior, microfiber lining and Soft TPU back cover, provide full body protection. 2.Honeycomb grid pattern air cushion can release over 80% heat, extend its useful life. 3.Built- in Pencil Holder .Support 2nd Gen iPad Pencil Wireless Charging. Easy to put the Pencil in and out. 4.Automatically wakes or puts to sleep when the lid is opened and closed. Easy access to all features and controls. 5.With magnetic closure and stable Multi-Angle Viewing Stand.Convenient for watching movie or typing. 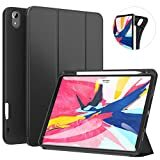 Customer Care: 100% customer satisfaction gauaranteed, 24 hrs email support.If you have any dissatisfaction for iPad Pro 11 case 2018 that you bought in Ztotop, you will receive a replacement or refund. 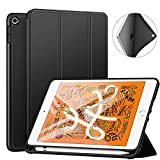 i-Blason Cosmo Case for Apple New iPad 9.7 inch (2017 & 2018 Release) Compatibility -Apple iPad 9.7 Inch 2018 / iPad 6th Generation (Model Number A1893 A1954) -Apple iPad 9.7 Inch 2017 / iPad 5th Generation (Model number A1822 A1823) Triple Protection Integrated screen protector prevents scratches without compromising sensitivity. 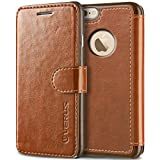 Durable bumper interior case protects against sudden drops and falls. 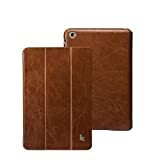 Premium PU leather exterior shell provides not only outer protection but also attractive appearance. Perfect Fit Precise cut provides full access to all features (Cameras, Speaker, Ports, Buttons and Touch ID). Smart Auto Wake/Sleep Built-in powerful magnetic strip supports auto sleep/wake function and secures the case closure. Fast Response and help saving battery. Built-in Apple Pencil Holder Hidden built-in design holder for Apple Pencil, easy and safe to carry your Apple pencil with your device, and unobtrusive. Humanized hole makes it easy to pull out the pencil. 12 Months Warranty: All of our products are produced under strict quality inspection. If you have any questions, please don't hesitate to contact our all day 24 hours friendly customer service. 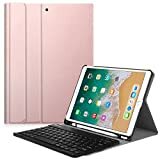 ONHI Wireless Keyboard Case for iPad Air 2019 3rd Gen/iPad Pro 10.5"